I used my Silhouette (favorite crafting tool EVER…what would I do without her?) to cut out all of the photo props, hats and banner. I hot glued the skewers to the photo props and the pennants to twine to make the banner. I added rhinestones and paint polka dots (craft paint + circle sponge brush) for a little something extra. For the hats, I added yarn to tie them to our heads (since I had it on hand) and made tissue paper pom-poms to add to the tops of the hats. 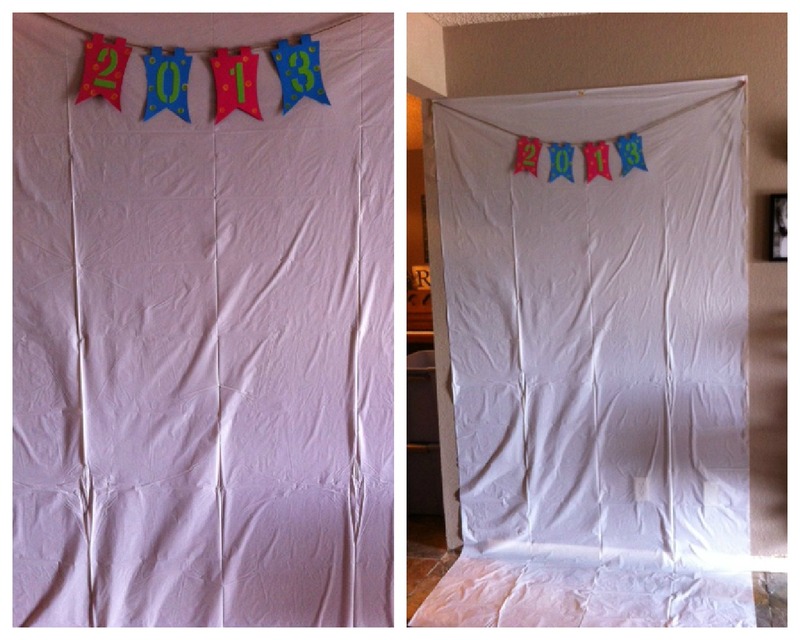 For our “photo booth,” I hung a white plastic table cloth from the wall using push pins. I LOVE the way they all turned out! Too fun. A FUN and simple way to ring in the New Year at home with the family and friends. Thanks for stopping by and have a SAFE and HAPPY New Year’s Eve! I will see you back here Monday for MFTM’s TOP posts of 2012! Kara I LOVE this idea! So much I may have to do this as well. You are such a fun mom, I love all your ideas! Happy New Year, sweet friend! This is so cute and I love that you did it just for the three of you!! Looks like fun! 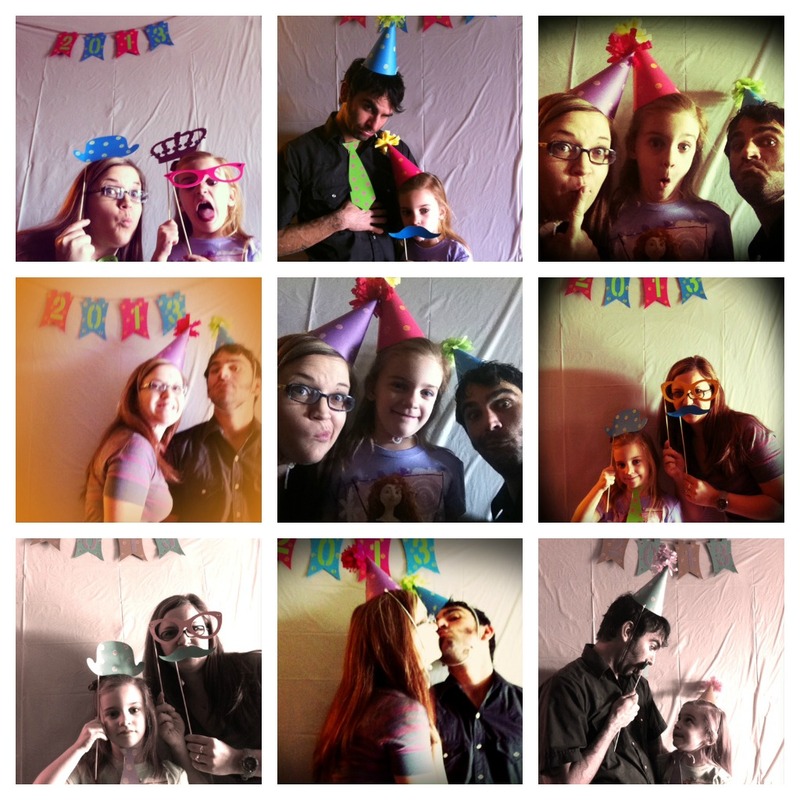 A new years photo booth is a great idea! Thanks for sharing!